This is one of those albums that encapsulates the very raison d'etre of a reissue label like Finders Keepers, or Trunk for that matter. 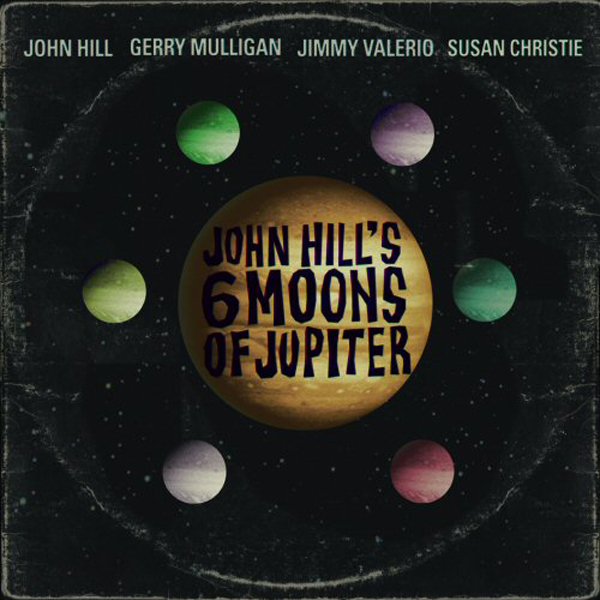 John Hill's Six Moons Of Jupiter is a dizzying cocktail of avant-garde jazz, cosmic psychedelia and electronic experimentation, intermittently augmented by the poetry of Susan Christie who recites text over parts of certain tracks. There are drum-fuelled beat tracks like 'Io' or the David Axelod-like 'Amalthea', and then there's some woozy, electroacoustic soundscaping on the hazy, effects-laden 'Ganymede', all of which are ideal fodder for library hounds, but 'Callisto' and 'Elara' mark the real creative peaks here, eschewing the kind of exotica-appeal that tends to taint reissues with a hint of kitsch. The latter of these compositions draws a certain amount of influence from Messaien's Turangalila Symphonie in its ambitious, often erratic harmonies and its mingling of conventional and electronic instrumentation. The album is capped off with an alternate, instrumental rendition of 'Europa', which it has to be said, benefits from the absence of Christie's reading - which itself is isolated as a final piece on the album, 'I Am The Storm Of Dawn'. This amazing concept album will undoubtedly appeal greatly to anyone who fell under the spell of Jean-Claude Vannier's L'Enfant Assassin Des Mouches and generally to followers of weird and wondeful musics from the archicives. Wonderful stuff - Essential Purchase.